Geology is the science of the Earth, what it’s made of, and how its rocks were formed. Those who study geology are called geoscientists or geologists, and they are detectives, searching for and uncovering clues in their daily work. 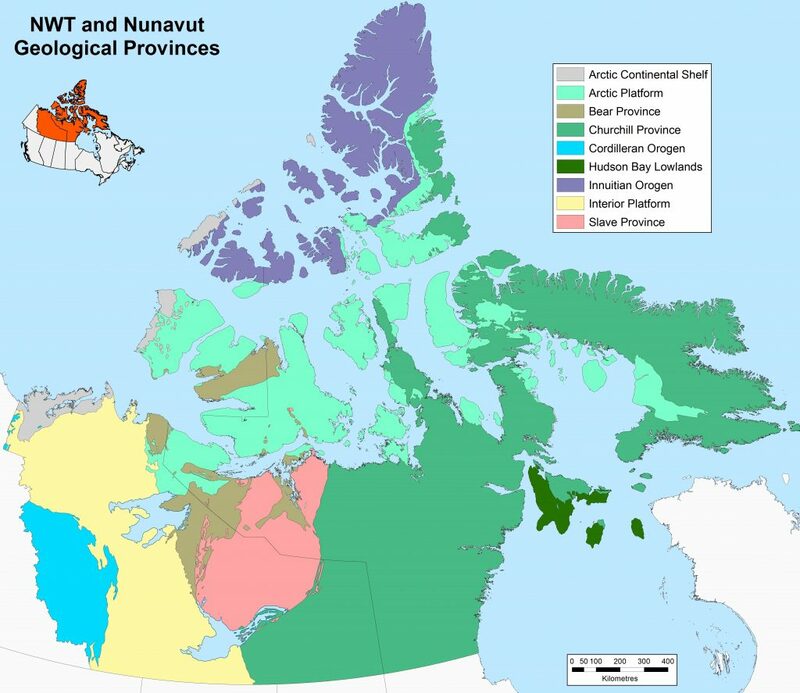 Geoscientists have divided the NWT and Nunavut into nine geological regions, known as ‘provinces’, with each presenting a different age or history, and also its own kind of attractive and diverse mineral potential. Because of the North’s huge size, and its challenging geography and climate, much of it has not been explored or even mapped in detail. These conditions mean there is huge potential to find many more hidden mineral deposits. These same conditions mean there are fewer options for economic development in the north (logging, farming, ranching, manufacturing, etc.) and that means minerals are the north’s economic advantage. The North has an immense variety of rocks, many of which have been and can be converted to wealth, including soapstone, diamonds, gold and many more minerals and metals. Geoscientists have discovered the oldest rock known on the planet in the North. In 1989, a “tonalitic gneiss” was discovered near the Acasta River, in the NWT, some four billion years after it was created! To learn more about the North’s geology visit the Northwest Territories Geological Survey and the Canada-Nunavut Geoscience Office. Core sample from TMAC’s Hope Bay gold mine. 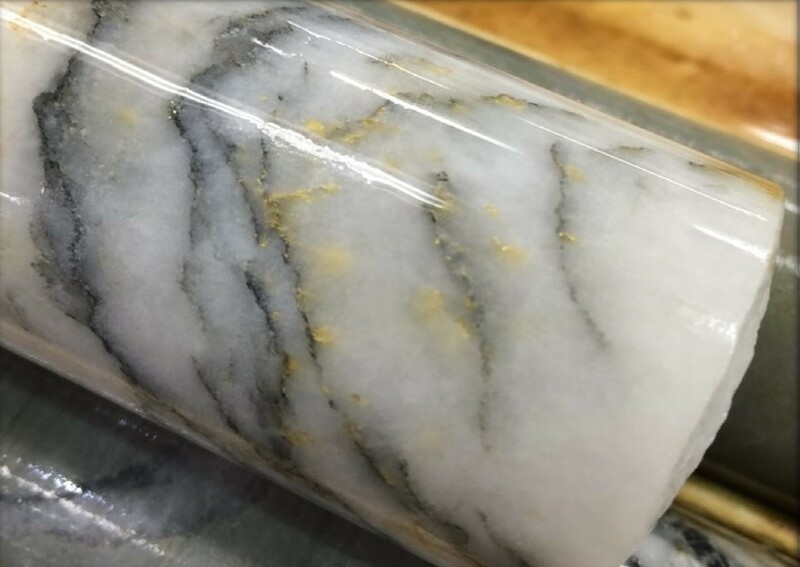 TMAC, and Agnico Eagle, which operates the Meadowbank gold mine, combined in 2017 to produce 7% of Canada’s gold (361,117 troy ounces worth C$594 million).